The Ford Foundation defines itself as a resource for innovative people and institutions worldwide. Linetta Gilbert, a Ford Program Officer, utilized resources within the Community Philanthropy and Civic Culture Portfolio to issue a challenge for young professionals in Birmingham to promote philanthropy amount African-American. That challenge was met and the Birmingham Change Fund emerged as a premier giving circle. The Birmingham Change Fund continues to grow thanks in large part to the Ford Foundation’s position as a resource for innovative people. HindSight Consulting received grant money from the Ford Foundation to help fund research among young urban professional groups. Darryl Lester, of HindSight consulting, organized a talking tour of Southeastern Cities to focus on ways that African Americans give of their time, talent, and treasure to improve their community. 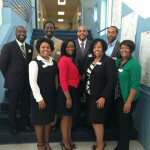 HindSight Consulting and the Birmingham Change Fund will continue the connection in the development of African American Giving Circles. The Birmingham Change Fund is A Field of Interest Fund of the Community Foundation of Greater Birmingham. The Community Foundation’s mission is to drive positive change in the community through leadership and philanthropy. The Birmingham Change Fund works with the Community foundation to make decisions about grants that invest in our community.